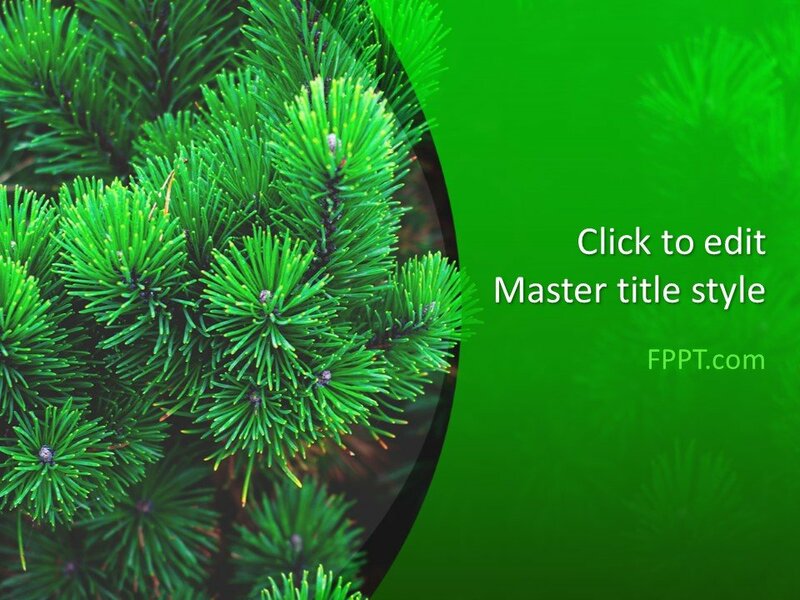 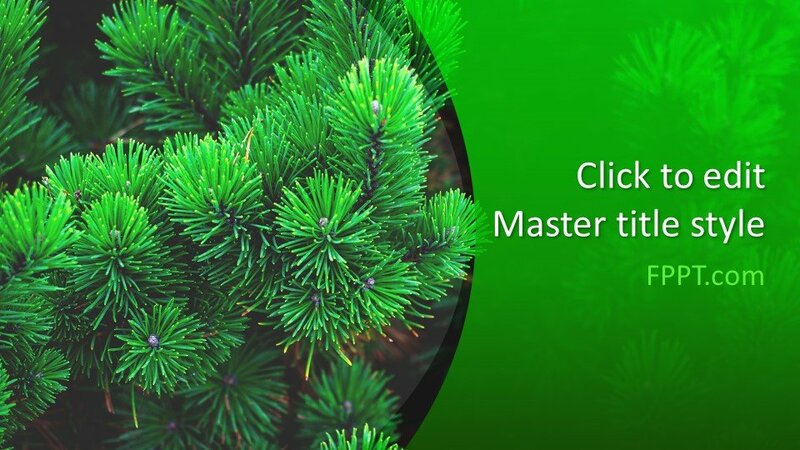 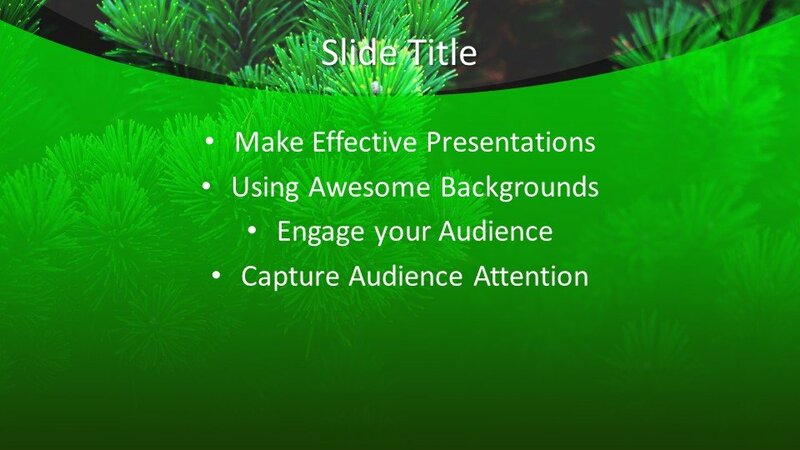 Free Pine PowerPoint Template is a green leaves PowerPoint template with a tree image or illustration in the background. 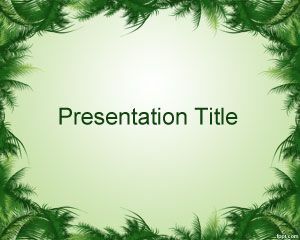 You can download this free pine PowerPoint template for nature PowerPoint presentations as well as other abstract presentations. 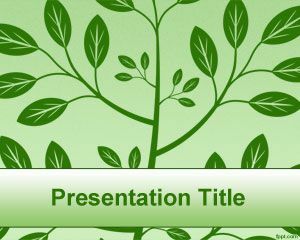 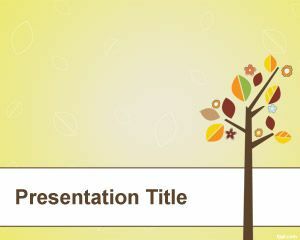 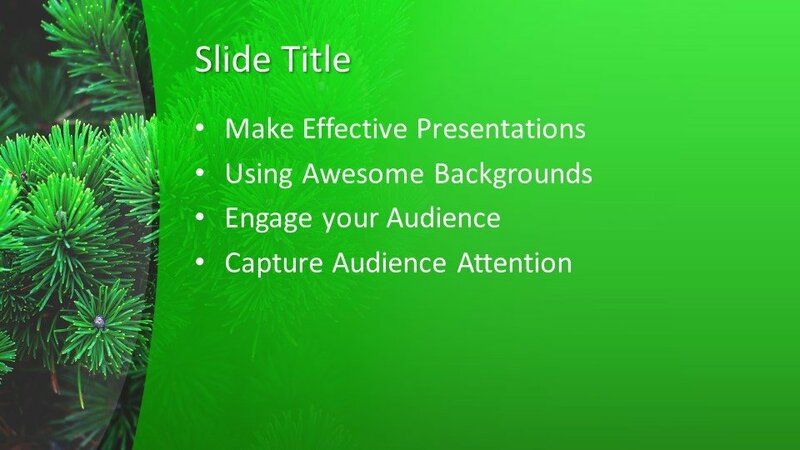 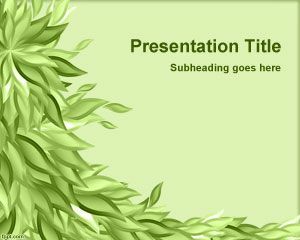 This free leaves PPT template with the green background can also be used for presentations requiring a natural style in the background template or also suitable for general topic PPT presentations. 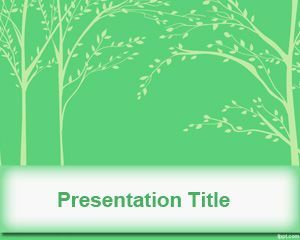 This creative background design with green pines can be used to make presentations on nature and ecology, as well as sustainable products and green resources. 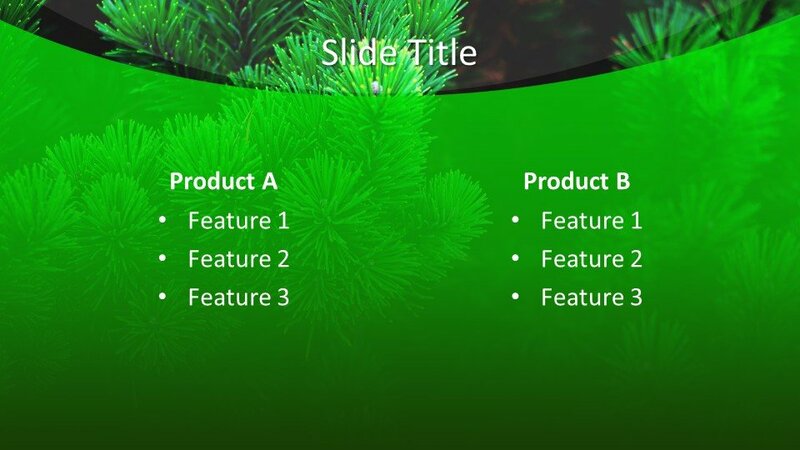 You can download free pine PPT template for Microsoft PowerPoint 2010, 2013 or even make tree diagram in PowerPoint. 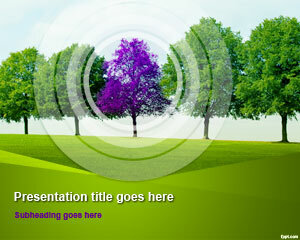 This design is easy to customize with the help of Microsoft PowerPoint as it is made user-friendly.